The Jan. 13-15 public event, now in its ninth year, was organized by the Catholic lay movement Communion and Liberation and held at the Metropolitan Pavilion. Woo, the former president and CEO of Catholic Relief Services, said, “We underestimate our power as consumers,” pointing to the need for informed choices even with small purchases like shrimp or seafood, whose industry has “a lot of slave labor embedded” into it. Another panel — “An American Dream … Come True!” — highlighted the lives of saints with historical roots in North America, like St. Katharine Drexel and the eight North American martyrs, who include St. Isaac Jogues, St. John de Brebeuf and St. Charles Garnier. That method originates from the approach of Father Luigi Giussani, who founded the Communion and Liberation movement in 1954 in Italy, when he saw a need for high school students to take ownership of their faith and see its relevance in their everyday experiences. The movement is now headed by Father Julian Carron. The theme of the weekend — “Reality has never betrayed me” — “speaks to all of us,” said Father Jose Medina, the U.S. coordinator of Communion and Liberation. 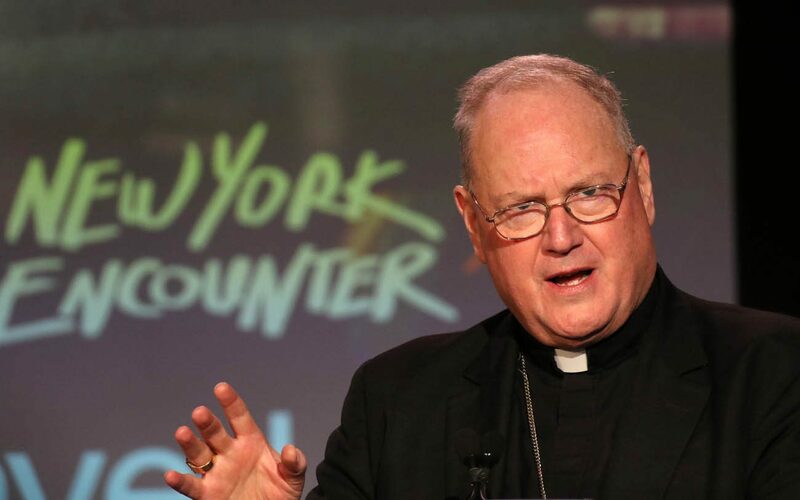 Boston Cardinal Sean P. O’Malley, who celebrated Mass along with Archbishop Christophe Pierre, apostolic nuncio to the United States, told CNS he comes to the New York Encounter each year. Cardinal O’Malley’s relationship to Communion and Liberation began through his close friend, the late Msgr. Lorenzo Albacete, former U.S. leader of the movement.